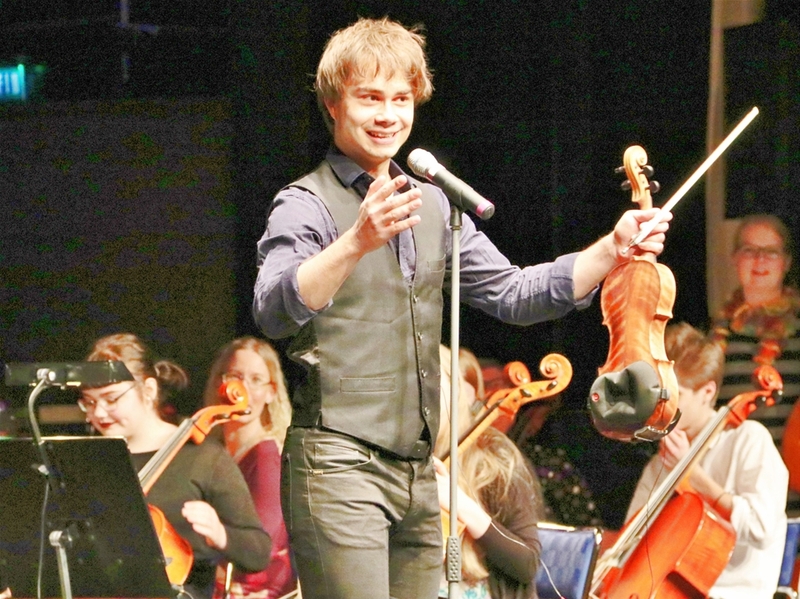 A unique concert held at a packed brewer weekend when Alexander Rybak visited Västervik. 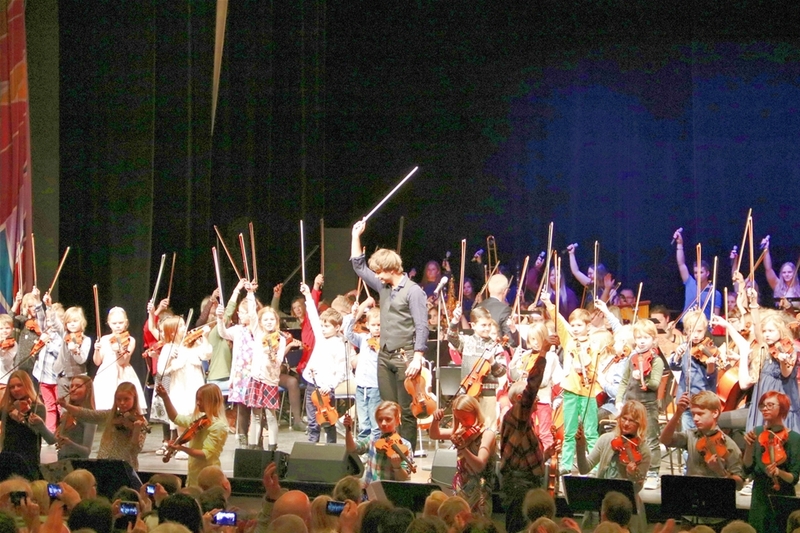 The concert was a powerful finish on a two-day camp where he inspired 130 music students. 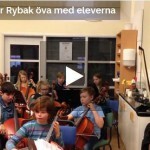 At the initiative of Richard Fallqvist have 80 string students from Oskarshamn, Kalmar, Hultsfred and Västervik along with students from the School of the Arts Vastervik, now had his two-day camp with Alexander Rybak. It was the year 2009 he won the Eurovision Song Contest in Moscow with the song “Fairytale” and an energetic violin playing. Now he travels around the world and share their music and their skills. – We have stayed for a year to get a date with Rybak says Peter Andersson, School of the Arts. He’s very busy. Rickard has worked in Vetlanda before, and there they had this arrangement with Rybak, it was that the idea came about. But it is rare to Rybak do this. Children and young people who participated in the camp and at the concert were from six years upwards of high school age. – Rybak is very educational, great with kids and have worked a lot with them during the time he was here, says Peter Andersson. 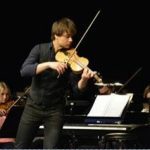 Rybak believes that it is not always so much about violin playing, but about how you use your body, how it may move and express. This has been a huge boost for pupils and a real höjdargrej. Music Students begin the concert with some lovely musical work where both singing and dancing included, among other things, “Ainrsquo; t no mountain high enough”, “Let the sky fall” and “Can not Stop The Feeling”. Thereafter, Alexander into Vastervik scene and everyone in the audience fishes up their cameras. He offers himself, joking with the audience, is immersive and just as captivating as he demonstrated when he won the Eurovision. His love for his popiga folk music is contagious and is popular with the audience. 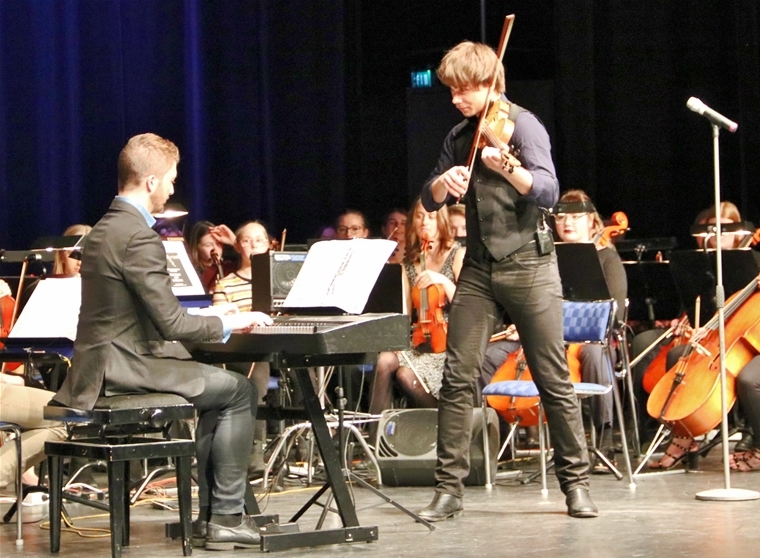 During the second half of the concert raises the roof then some, and some låtduetter running between the pianist Stefan Ibsen Zlatanos and Alexander Rybak. 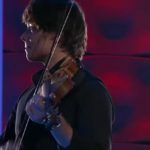 “Häxdansen” is as special as it sounds when Rybak suddenly falls into the 50’s song “Great Balls of Fire.” The playfulness he continues also in a unique violin piece in all possible positions. Rybak spoke occasionally to the families of the students in the audience. – You must trust that you can play, move, help themselves and be in tune with each other. All the children who are here can also be song contest winners or performers. But you must take care of them then. When it went towards the end of the two hour long concert was performed including the song “Happy” where the audience had to participate and clap to the beat. Obviously there was the song “Fairytale” also included in the program, both at the beginning and conclusion. Something surely has remained etched in the memories of the students get to have performed with world star.